Anupam Kher at the screening of a film in Mumbai. Anupam Kher, whose wife Kirron Kher is the BJP member of Parliament from Chandigarh, appears to be one of several hacked Twitter accounts. Among them is Rajya Sabha member of Parliament Swapan Dasgupta, from whom Mr Kher reportedly received a direct message on Twitter. "Got a DM yesterday from Mr Swapan Dasgupta's account about a link. A first from him. So opened it. 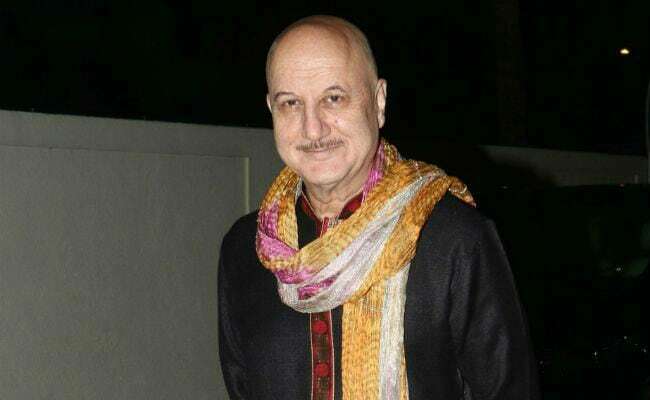 Have spoken to Twitter already," Anupam Kher told PTI. Anupam Kher's account seems to be up and running again, after being temporarily inaccessible. It now displays tweets posted by the actor from Los Angeles, including a picture with actors Armie Hammer and Jason Isaacs, and a message for his The Big Sick co-star Kumail Nanjiani, whose screen father Mr Kher played. Anupam Kher's breakout film was 1984's Saaransh. He has since appeared in many of the most notable films from the last few decades, and has built an impressive international career in movies such as Bend It Like Beckham and Silver Linings Playbook.